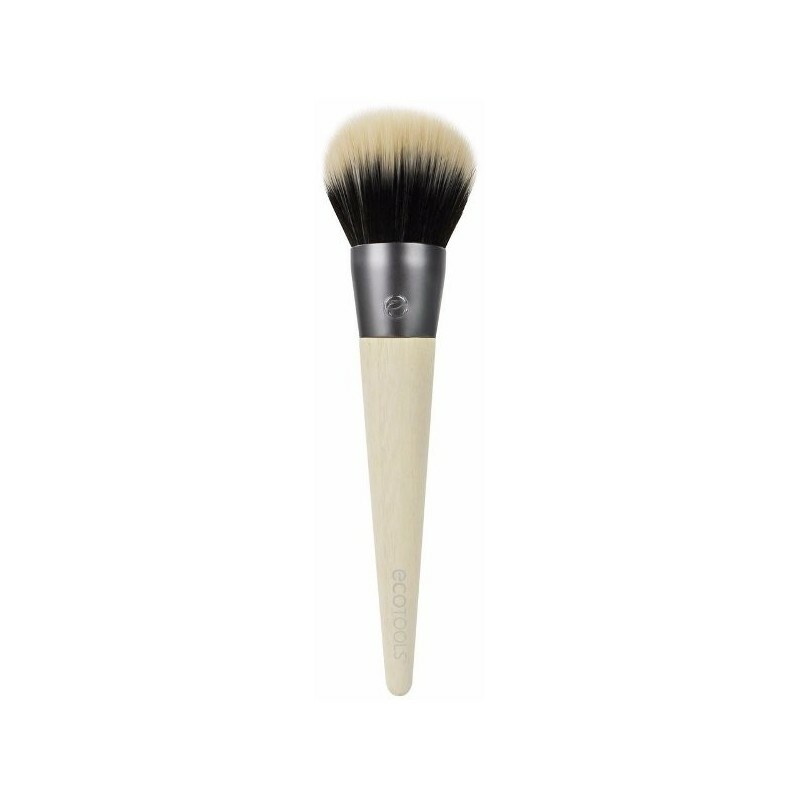 This earth-friendly brush allows you to build bronze or an all-over glow. Synthetic taklon bristles are 100% animal free and cruelty free. 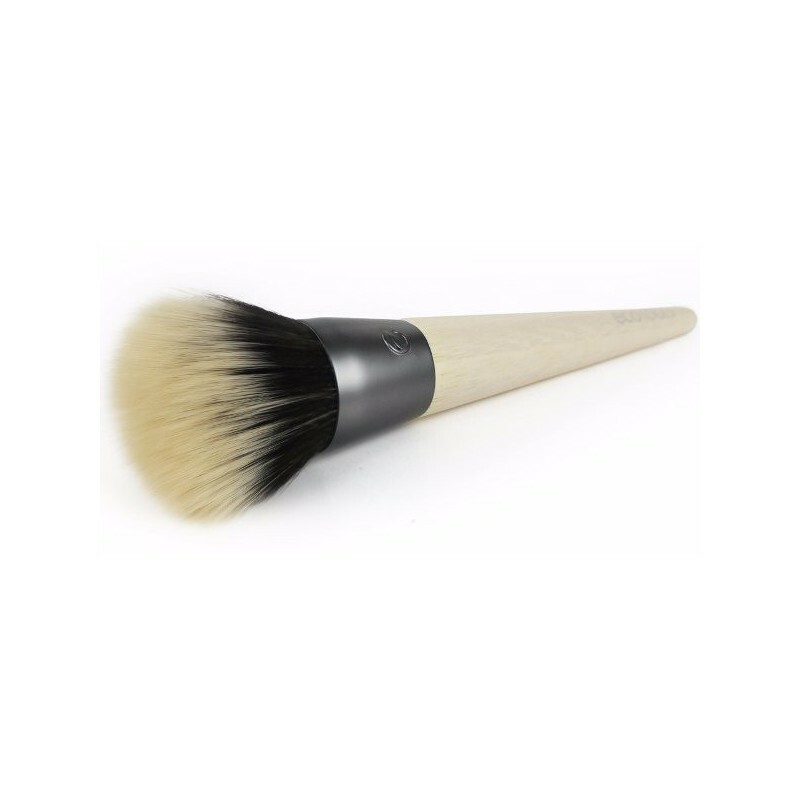 Use this brush to create an even glow by sweeping bronzer or powder across your face. Build definition by applying bronzer to areas of your face where the sun naturally hits - cheekbones, bridge of nose, forehead. Comes with a reusable pouch made from materials and EVA (phthalates and PVC free). Clean your brush once a week/as needed with a natural shampoo. 17cm x 6cm / Recycled aluminium, synthetic bristles, bamboo handle. 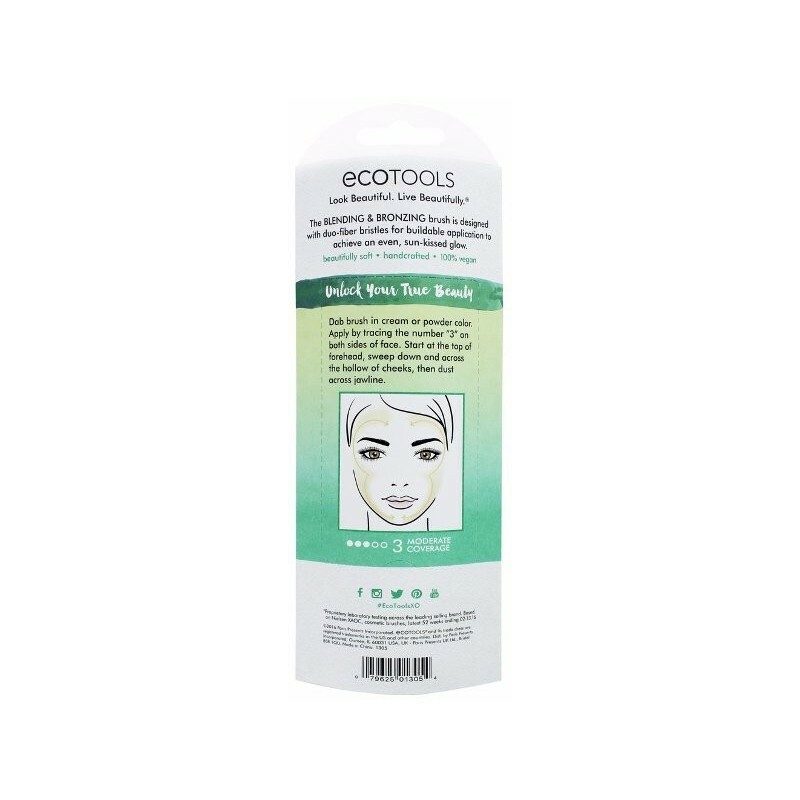 View all EcoTools make up brushes. 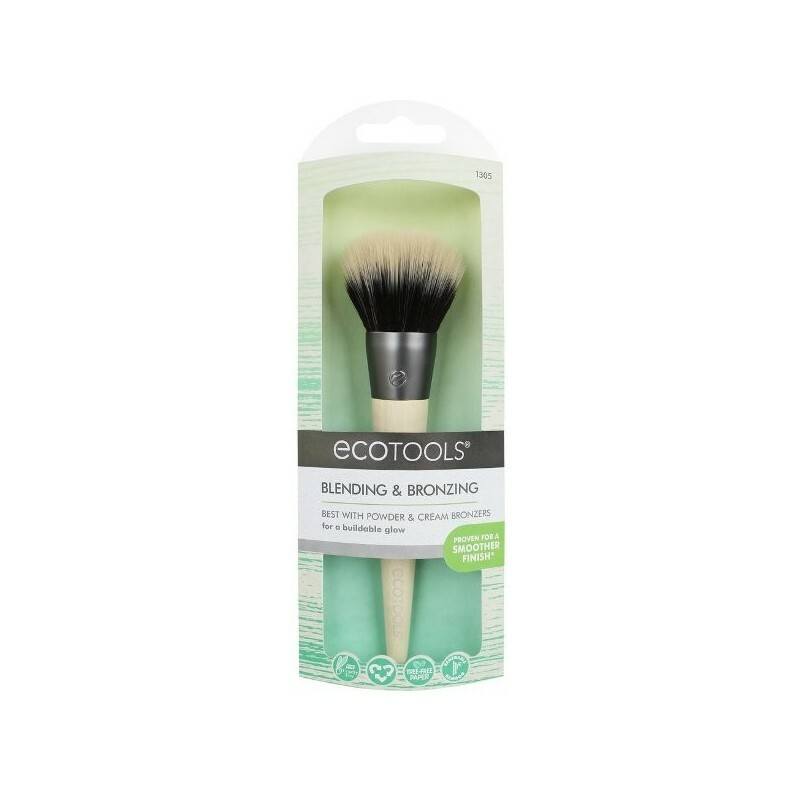 Loove this brush, the company just needs to work on plastic free packaging.